The Wall Street Journal examines the plight of small-town single-screen cinemas that are unable to make the costly transition to digital in the article ‘Is Film the End of the Road for Small Cinemas?‘. It highlights one particular cinema near Scranton, Pennsylvania, facing imminent death-by-digital. Hollywood’s major studios are in the final days of distributing movies on film reels and moving to digital distribution sent via hard drives or satellite, a method that is cheaper for studios but requires significant investment by theaters in new equipment. The conversion means theaters like Mrs. DiAugustine-Bower’s Berwick Theater could fade out for good. The theater, about 50 miles southwest of Scranton, has raised only $6,000 so far, a difficult amount to earn by selling baked goods and old movie posters in an economically depressed town. “I got a backlash from patrons when I mentioned raising ticket prices” to $5 from $4, said Mrs. DiAugustine-Bower. But help has come for some from an unexpected quarter: Indian digital cinema integrator Scrabble. About 87% of the 5,762 theaters in the U.S. are now digital, according to the National Association of Theatre Owners. The remaining 13% is mostly made up of one-screen independents, in rural communities with no multiplexes for miles. More than half of the approximately 600 drive-in theater screens in the country have converted so far, according to the United Drive-In Theatre Owners Association. Scrabble Ventures LLC has begun leasing digital projectors to small theaters that can’t afford a lump-sum payment. Chief Executive Ranjit Thakur said the company has converted 370 theaters so far with more than 400 scheduled over the next three months. Kickstarter, the Colorado State program, Kiwanis International club, state department funding and local donations are ways that some of that other cinemas have managed to raise funds. USA (CA): As we highlighted in our item on ArcLight coming to Santa Monica, existing cinemas there will have to shrink to compete. Hence Laemmle’s 4 screen will ‘expand and contract’. 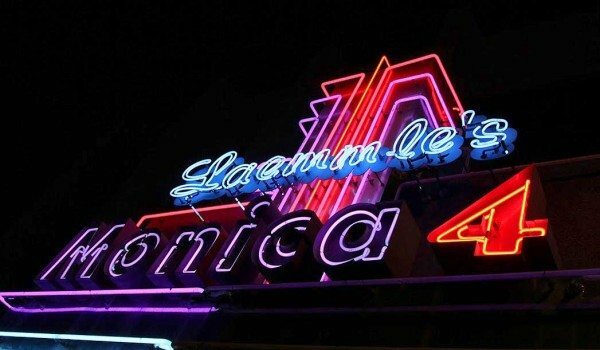 The Second Street cinema currently has four screens and about 1,100 seats but a proposed makeover would add two screens and drop the seat total to below 500, said Laemmle CEO Greg Laemmle. The largest theater would hold about 150, which is about the capacity of the current smallest theater. Two mezzanine-level theaters would seat about 35, Laemmle said. 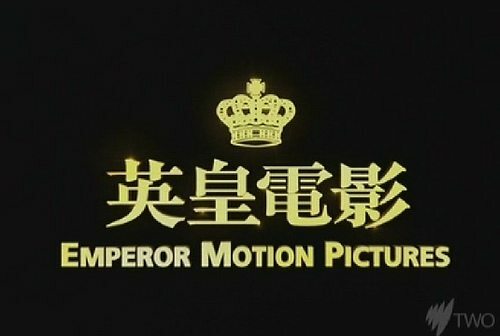 China (PRC): Hong Kong-based Emperor Motion Pictures (EMP) is pushing into the mainland cinema market by appointing Orange Sky Gold Harvest’s COO Damon Chan as General Manager and Daniel Yu as production controller. The company unveiled its plans to break into the mainland theater sector in March 2013 in partnership with another Hong Kong firm UA Cinemas. USA (GA): A Carmike Cinemas manager has been charged with stealing a LOT from the box offic. An Albany theater manager is out of jail after being charged with stealing $36,000 from Wynnsong Cinema. 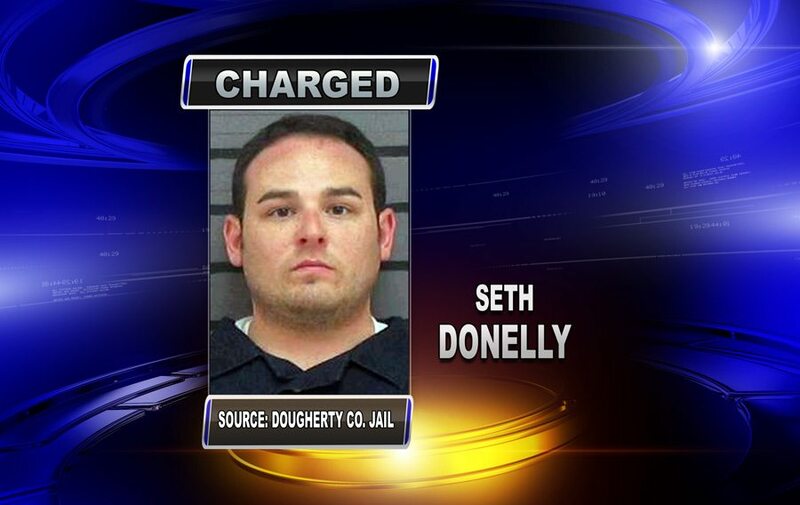 Seth Donelly, 28, is charged with three counts of computer theft. 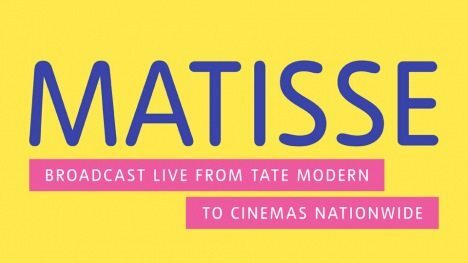 UK: Tate Modern is putting on its first event cinema broadcast, following the lead of the British Museum, National Gallery and Royal Academy. The highlight of the show will be The Blue Nudes, silhouettes of a seated female figure, cut from coloured paper using scissors. They have been shown together only a handful of times since they were made in 1952, two years before Matisse’s death at the age of 84. The glue and paper cut-outs are too fragile to travel on a regular basis. UK: Not your typical airline movie this one as British Airways sponsors a pop-up cinemas in London. 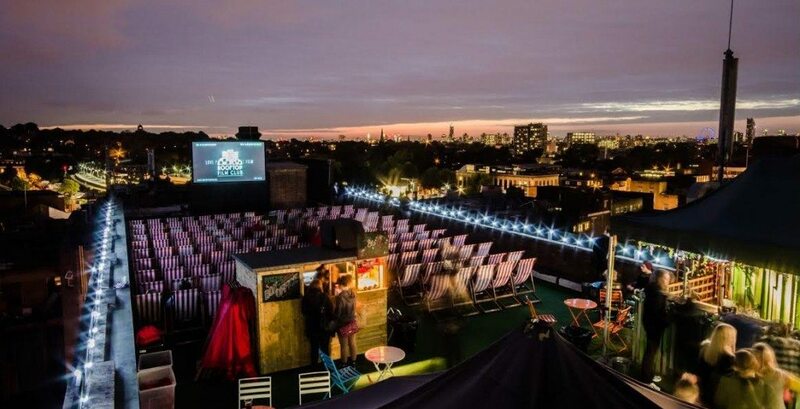 British Airways has partnered with the Rooftop Film Club to build a series of pop-up movie theatres on the rooftops of London this summer. Located on top of the Bussey Building in Peckham Rye and the Queen of Hoxton in Shoredtich from 1 May to 30 September , the event will allow film buffs to take in over 170 classics; including Anchorman 2, Reservoir Dogs and Labyrinth from the comfort of their own chair and blanket. Germany: A press release that doesn’t actually seem to announce anything new, but merely Deluxe and ARRI patting themselves on the back. Early In 2012 Deluxe and ARRI Film & TV Services GmbH concluded an agreement for ARRI to deliver digital cinema content via hard-drives for cinemas in the German Speaking area (GSA). The cooperation has proved very successful. For Deluxe’s various Hollywood partners ARRI provides cinemas in the GSA with US and international titles. ARRI also directly services many other distributors’ movies and, on behalf of the regional offices of the US Majors, many German and independent films they acquire and distribute, of which ARRI is often a co-producer. USA (CA): This San Diego cinema needed to raise USD $48,000 for a digital projector, so they asked the landlord for a reduction in rent to cope. They didn’t get it and now they are closing. Landmark Theatres’ Ken Cinema is FIN. According to the owners of the property housing the iconic Ken Cinema, Landmark Theatres recently gave its 30-day notice and won’t be renewing its lease. 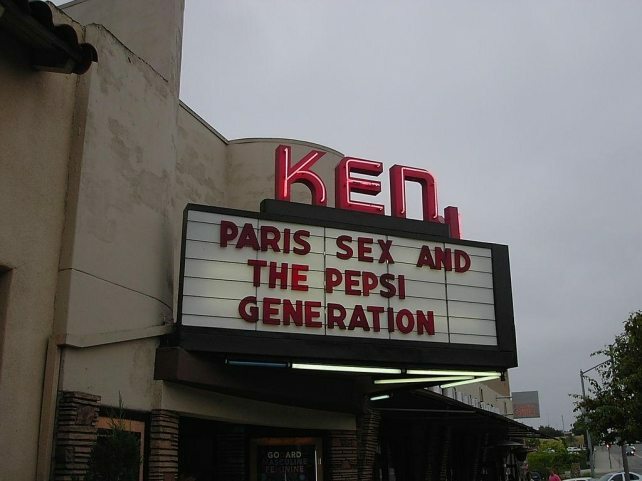 The last scheduled day of showings at the Ken are April 27, and neighboring businesses say tentative plans include letting staffers curate the last few weeks’ worth of movies. India: Chennai’s new stylish multiplex opened this week. It shares the name with RealD’s premium large format (PLF) brand: Luxe. Chennaiites have always treasured cinema close to their heart. 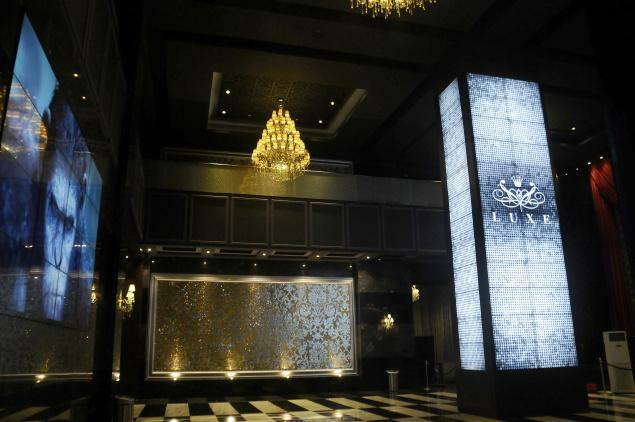 And their love for the silver screen has been rewarded with a swanky new multiplex – ‘Luxe’ – that was inaugurated by Governor K. Rosaiah in Phoenix Mall in Velachery on Monday. With 11 screens and a seating capacity of over 2,600, the multiplex stands out from the rest, not only in terms of capacity, but also comfort and opulence. UK: Hope for one of London’s most under-screened suburbs and a cause particularly dear to me. 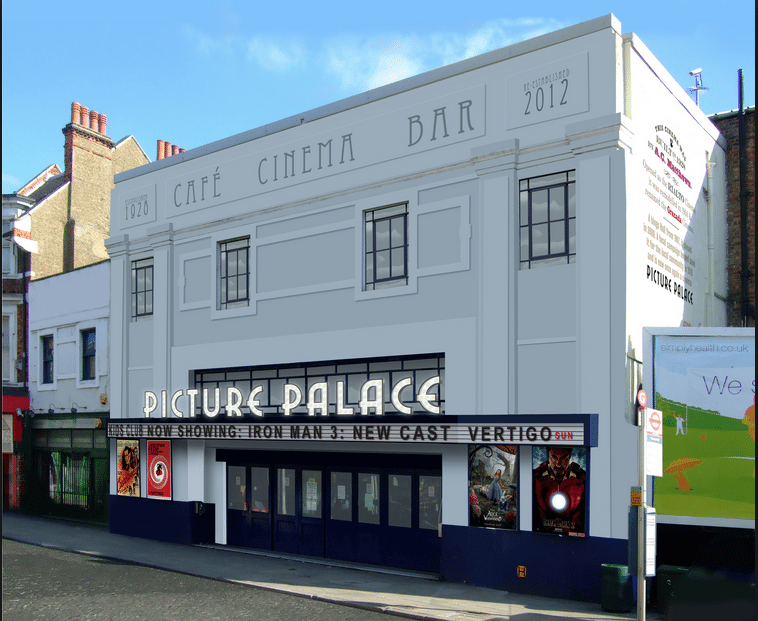 Campaigners who want to turn a former bingo hall in Crystal Palace into a cinema have managed to get the building listed as an asset of community value. This means if Kingsway International Christian Centre (KICC) wants to sell 25 Church Road, communities that want it will have six months to put together a bid to buy it. UK: Go head has been given for a shopping mall expansion in Stoke-on-Trent that will include a five-screen Cineworld cinema. 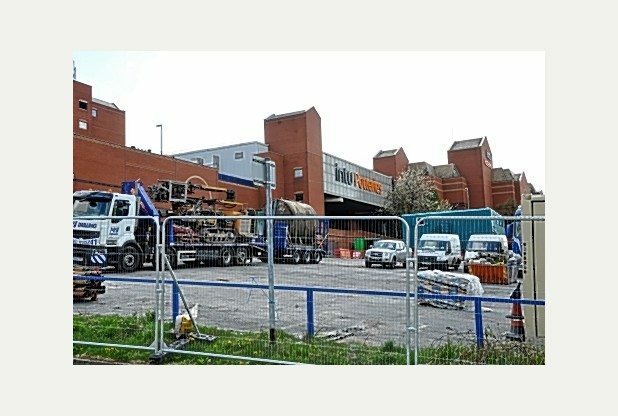 Council bosses have agreed to sell land to a shopping centre for a £20 million expansion project – despite blocking a similar deal 18 months ago. An off-Broadway play set in and centred on an old cinema in Massachusetts that still shows 35mm film just won a Pulitzer Prize for Best Drama.